I'm constantly getting this annoying popup from Google on my android phone telling me to complete setup, to install more of their apps. The phone already came with a lot of apps on it, and I have used the Google Play Store app to install a GPS mileage app that I wanted. I don't want any other apps at this time, and have no need or want for the ones that they insist I install. I use my phone for very little, like phone calls and the occasional text. If I want to do anything of importance, I do it on my desktop computer. The only option when I get this popup is to tap OK....and I do not want to do that. It also says it will install as soon as WIFI is available. 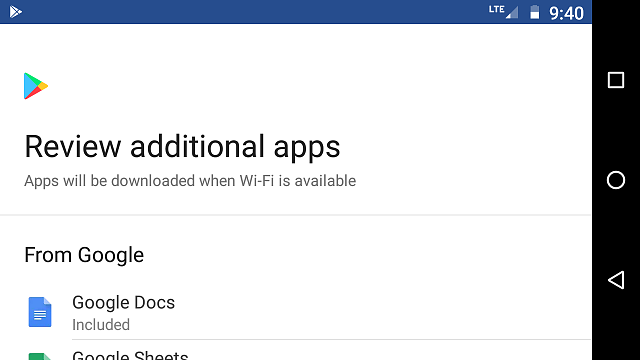 Am I forced to accept these apps from Google? If I am, can I uninstall them afterwards, I don't want them on the phone. What are you doing when you see these popups? Are you accessing Google Drive? Show us a screenshot of the message. I've never encountered this, so it would be a great help to see what you're seeing. B. Diddy and TechTimid like this. I don't know which OS you're running but this is how to stop it on Pie, so hopefully the routing below is similar for you. Go to Settings then Apps & notifications. Hopefully you will then see a heading "Recently opened apps", below which you should find "See all <number> apps" - open this. Next, tap on the three dot menu in the top right corner and select "Show system". 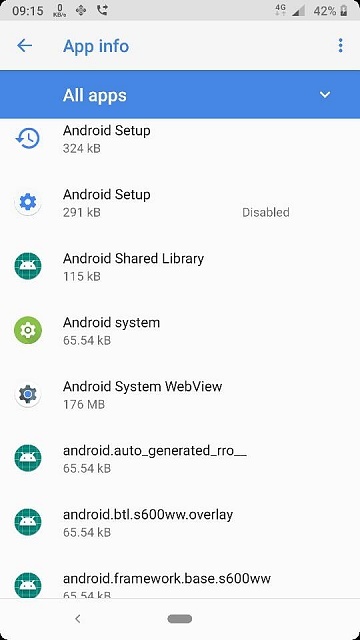 Scroll down until you find "Android setup", looking for the one with the gear wheel as shown in the screenshot and disable it. It may be worth selecting "Force stop" first and clearing the storage but this shouldn't make any difference. Sorry I took so long to reply, I had to get instructions on how to take a screenshot, then I wasn't sure how to upload it to the forum since I don't have an app for here. So I emailed it to my desktop and it looks like only the top part copied. It usually happened when I was powering up the phone. I was able to get it to show on the first (lock?) screen by pressing the off button to go into ready/sleep mode, then pressed it again to get that first lock screen. But usually I see it when starting up the phone and sometimes before powering down. I don't use Drive for anything. Here it is, what's cut off is what I wrote in the OP. That does look vaguely familiar now ... remind us, which phone do you have? If you install the apps, can you uninstall them afterwards, or does it only allow you to disable them? I have the Moto E5 Play phone, I don't know if those apps can be uninstalled or just disabled. New to this, I haven't tried to eliminate any apps that came on the phone. The screen you got suggests that they weren't preinstalled. Try uninstalling them. They haven't been insalled yet. The popup keeps insisting that I tap OK to install them. I don't want to install them and think there should be an option rather than clicking OK and then going through the trouble of uninstalling or disabling them. There is no option to say no, not interested. The popup continues, no way to get rid of it. Google won't take no for an answer, even if it's the owner of the phone who should be able to choose apps, data usage and storage on their personal devices? That's the issue, am I forced to click OK and install these apps that I do not want? I can't say for sure, but if you are forced to install them, and then are able to subsequently uninstall them, that would still be better than having the apps preinstalled on the phone with no way to uninstall (which is so common with many phones). Thanks for your reply B.Diddy. Mustang, is there something I need to do to 'clear' it? I usually look at it, never tap OK, and then go to the home screen. Anything else I need to do, because it still shows every day one or more times? There should be a X to clear it out if I remember correctly . Thanks Mustang, but there is no X anywhere to clear or close that screen. There is only the blue OK to allow the installs. I just think the owner of the phone should have the freedom to choose the apps they want on their device without being forced, and it looks that way to me right now. Even if the popup was seen once a week or month, it wouldn't be as annoying as several times a day. Well I gave a suggestion so I suggest you try it - it won't break your phone. As the app name implies "Android Setup" is to set up your phone, whether out-of-the-box or following a factory reset. Once you have set up your phone - how YOU want it - it's really not needed at all. I had a similar issue when I upgraded to Pie around 6 months ago: disabled it and....Gone! Thanks for your suggestion Sizzers, you mentioned 'Pie', and honestly I don't even know what that is, and I doubt I have that on my phone. It's an inexpensive Moto E5 Play with Google Chrome as the browser. It's an inexpensive Moto E5 Play with Google Chrome as the browser. I'm guessing then that it comes with Android Oreo. I should have thought of a simpler way for this so if you open "Settings" and look at the top of the page there will be a search box. Type in "Android setup", press on the one with a gear wheel/cog by it when it shows up and then press "Disable". Ignore the pop up message which will then appear and press "Disable it". It WON'T break your phone or it's functionality, but it should clear the problem. Well only thank me if it works! When I typed that into the search box at the top of settings, I got "No Results". « Nexus 6P - Where Do Deleted Photos Go? Is there a way to not install Pie?